Such initiatives include the measuring of internal power consumption and carbon dioxide emissions generated by day-to-day operations. In the two years to the end of 2018, power consumption fell by 17% as HNB increased the number of branches powered by renewable energy from 52 to 69. Further efforts are raised to build enthusiasm for sustainable business and lifestyles, enabled by the HNB Green Pledge. Over the past year, this resulted in several notable initiatives including a single day when all HNB employees left their vehicles at home and walked, cycled, used public transport or electric vehicles in their morning commute in a bid to further minimize the bank’s carbon footprint. “HNB offers some of the most advanced, streamlined and reliable Trade Finance services in Sri Lanka – from complete structuring of trade financing facilities, issuing of letters of credit and negotiation of export documents to issuing of shipping guarantees and the facilitation of entrepôt trade business. While this is an extensive array, we always seek new ways to add value, and so HNB places an equal emphasis on advisory services, awareness building workshops and networking of clients locally and globally, as we believe in partnering with our customers to provide well-thought-through trade financing solutions,” HNB Assistant General Manager – Trade and Financial Institutions Janath Ilangantileke explained. “HNB has always been a pioneer in that we have always created partnerships built on value. Over the past year as well, we have continued to be innovative, becoming the first local bank to offer a web-based, fully-integrated Payments and Cash Management (PCM) platform in the form of HNB Online. Together with the expertise of a dedicated team that is comprised of the best talent in the domestic industry, we have successfully catered to the needs of a diverse array of corporates from multinationals, to large local conglomerates, mid-market enterprises, financial institutions as well as entities in the NBFI business,” HNB Deputy General Manager – Corporate Banking Ruwan Manatunga explained. 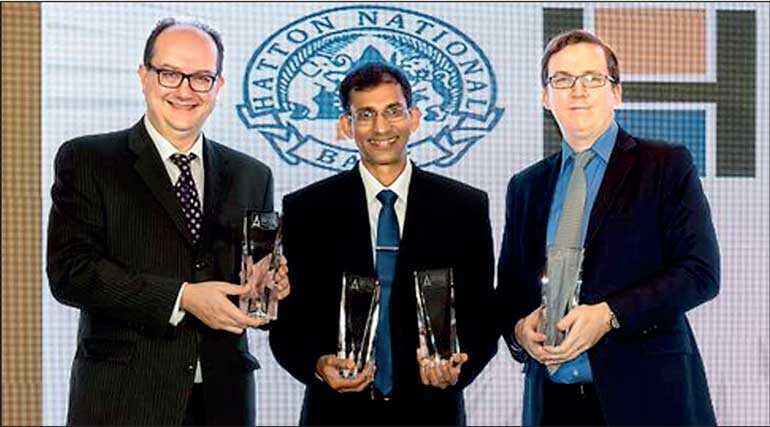 Operating across 250 customer centres across the country, HNB stands as Sri Lanka’s leading bank, having been recognised by several renowned international and local institutions for excellence in diverse fields. Rated AA- (lka) by Fitch Ratings Lanka Ltd., HNB remains the most profitable private sector banking and financial services group in Sri Lanka.